Chiropractic makes the body biomechanically sound and removes nerve irritation through natural means. I use non force techniques like Pain Neutralization Technique and Activator, as well as more traditional approaches, like Diversified, Gonstead and Cox. While in Chiropractic College, I set my goals on being the very best chiropractor I could be. 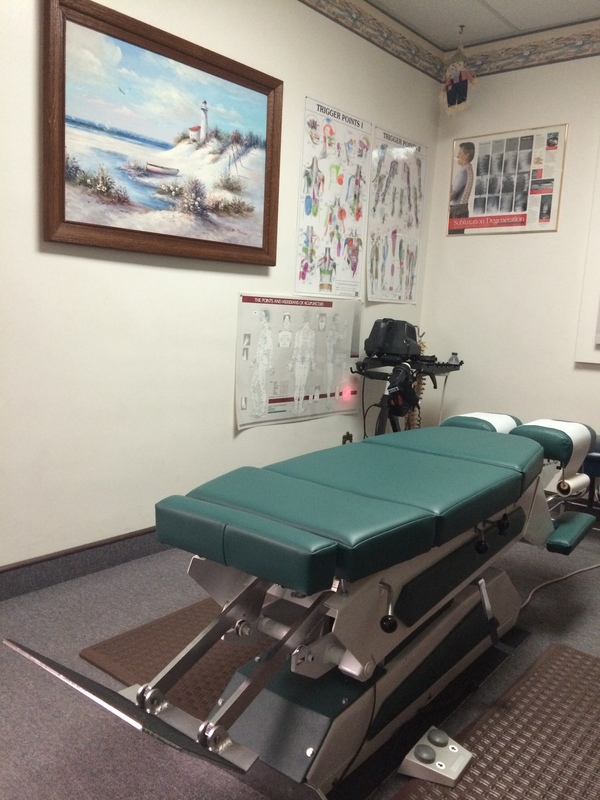 To accomplish that goal, I found the chiropractor that everyone turned to, to solve their most difficult cases. That doctor used a special technique to solve tough problems. That technique is Applied Kinesiology. Applied Kinesiology, the foundation of muscle testing, uses muscle strength as a diagnostic language, just like galvanic skin response indicates if you are telling the truth or not. It is fast, effective, and amazing. I use it to discover and correct imbalances in the body which may be structural, nutritional, or emotional. It draws from and is used in many fields such as Osteopathy, Medical, Acupuncture, Psychology and Energy Medicine. The combination of stress/correct protocols, and stimulation with the New-Stim low force instrument on a precise contact area, eliminates virtually all past and present areas of interference and corrects neuroreceptor dysfunctions. Used to clear spinal, muscle, organ malfunctions, chemical sensitivities, emotional stress patterns and electromagnetic frequency interference. Nutrition is a complex science. Do you know what your body needs to run at peak levels? Quantum Reflex Analysis checks the nutritional status of the body and uses state of the art quantum nutritional products for correction. QRA also finds ‘interference fields’ like scars and traumas, clearing the far reaching affects of these interference fields. A common example is an episiotomy scar. This can inhibit the adrenal glands. A person with this condition is always tired, inflamed depressed. QRA clears the scars, rebuilds the adrenals in the body, and that makes you feel better, more coherent. An approach using the six steps to wellness. 1. Re-establish structural integrity, the foundation of health. 3. Rebuild nutrition for organ/gland weakness. 4. Reprogram the body for any allergy/sensitivities. 5. Re-evaluate emotional patterns and remove limiting belief systems. 6. Remove heavy metals and other toxins from the body. Got pain? Don’t really know the cause? Did you know that many times the area of pain is not the problem? It is possible to find the cause and correct it too! BRT,Body Restoration Technique is an innovative way to reconnect the miscommunication in the body. It uses functional neurology to do just that. It resets the body’s reflexes and restores a good communication system, which induces the body to heal. Effects are usually felt immediately. I used to have right shoulder pain. It would get worse under stress. I received great adjustments and exercised but it always returned. I discovered NET in 1993. I found that emotions were stored there from when I was very young and my mother was stressed out about my brother. The stored emotions were released through NET. After that, my shoulder pain did not return. NET specializes in removing pain that has an emotional link.It has been invaluable to my patients. I think I can safety say that everybody sabotages themselves at sometime. Neuro-Emotional Anti-Sabotage Technique removes patterns of thought that sabotage your well being. Daily, I find many people need to resolve the statement “I am safe being healthy.” If you are not “O.K.” with that statement, no amount of treatment can resolve your problem. NEAT removes these very large barriers to wellness and healing in a safe and non disturbing way. Are there some substances that you are hypersensitive to? They can be part of your body or outside of it. Lang Autoimmune Solutions Technique is an approach which identifies the substances that you are reacting to and modifies the body’s response to those substances. This is a laser healing technology. Using LAST, I have found many people in the Valley to be hypersensitive to tumble weeds. LAST works great in removing this hypersensitivity. A system of neurological integration, which involves a prioritized set of protocols that evaluate the neurological circuitry of body’s function. A very light stimulation on the post central gyrus, by way of a tap to areas on the head, reconnects the brain to the function. A great approach to healthcare, especially for those who are apprehensive of the force used in traditional Chiropractic, or are in too much pain. This technique turns off painful muscle (trigger points), joint, and bone pain in seconds. All done very lightly by hand. Allergy/sensitivity elimination and reprogramming technique. This is an advanced technique using allergens, emotions and color therapy to help your body reprogram to hyper-reactivity. X-Ray and physiotherapy are also available, if indicated.